After a 150 mile drive up to NH, I discovered that my new kayak's seat is removable. 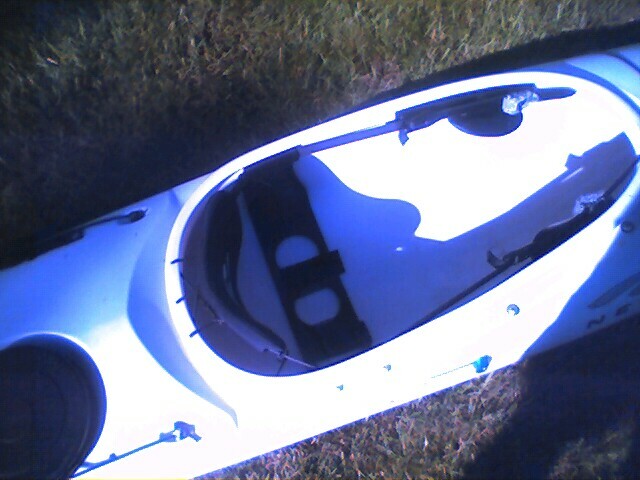 Somewhere on the side of the highway between Rhode Island and Wolfeboro New Hampshire is a Necky kayak seat. Fortunately, there's a kayak shop in Wolfeboro and I was able to get a temporary replacement seat - one of those gel pads that is designed to go over a hard plastic seat. On an brighter note, after I got home from my trip, I went back to the place where I bought my kayak and asked about buying a new seat. The woman who works there took down my name and said she'd call me back today to let me know the cost. When I got home tonight, there was a message on my answering machine. It turns out the company that makes the kayak (Necky) said this was considered a warranty repair, so they are shipping a new seat to me FREE OF CHARGE! Woohoo! What a great company! Oh no! I remember you telling me that!